Marina Kornati is located in the town of Biograd na Moru. Biograd is an interesting sailing destination due to its central location in the Adriatic and close vicinity to national parks Kornati and Krka, as well as nature parks Vransko lake and Telašćica. The marina has the total capacity of 750 wet berths and 70 dry berths, all of which are equipped with water and electricity (240v and 380v). 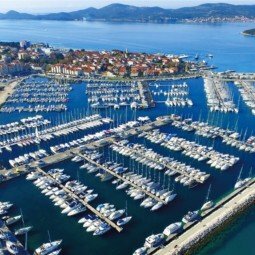 It can accommodate boats and yachts up to 23 m.
Marina Kornati is considered to be one of the largest nautical centres in North Dalmatia. It has held more than 40 domestic and international regattas of all classes with over 30 flotillas involving 10,000 sailors from around the world. 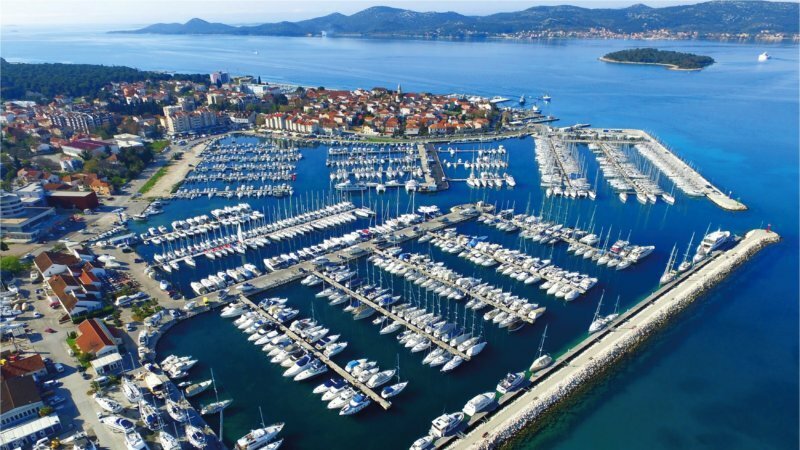 The marina has been awarded Blue Flag – a symbol of clean, safe and environmentally friendly marina six years in a row and is often listed in the top 3 marinas in Croatia. Marina Kornati is open all year round and it gets very busy and crowded in the months of July and August.